Princeton Infrared’s advanced SWIR-InGaAs 1024-element linear array camera can image over 37k lines per second and comes in two models: the LineCam12-12.5-1.7T with 250 µm tall pixels for spectroscopy, and the LineCam12-12.5-1.7M with 12.5 µm square pixels for machine vision tasks. 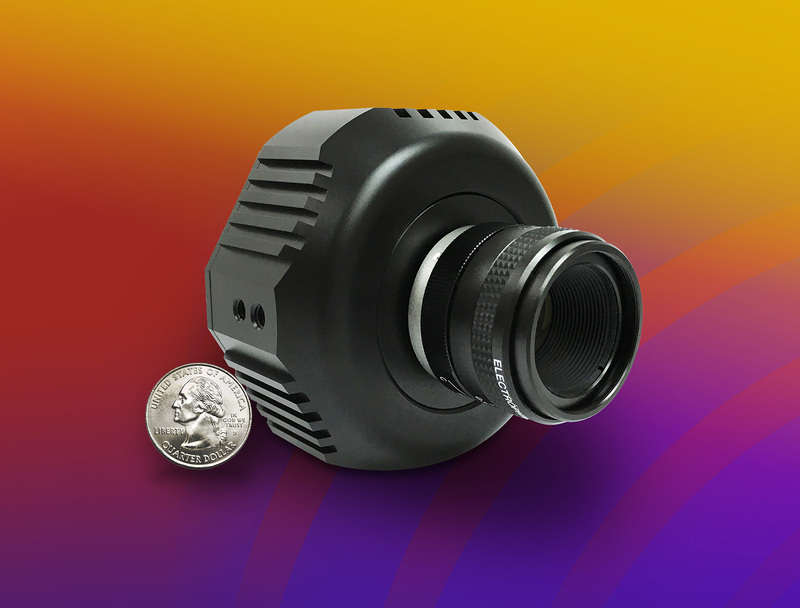 There are several advantages to this new SWIR linescan camera. The low read noise of <80e- is a factor of 4x lower than the best in the industry. Combined with varied integration times from 10 µs to >10 s and the 14-bit analog-to-digital conversion (dynamic range >6000:1) the LineCam12 provides excellent versatility. This is in addition to the incredibly large selection of full wells from 75ke- to 100 Me- with 128 steps of variation, which far exceeds any other linear array in the SWIR band. Importantly, there is also on-chip optical pixel binning available by command, allowing the user to trade spectral resolution for increased signal levels, as well as faster line rates. The TEC-stabilized camera offers 18 non-uniformity correction (NUC) tables (12 factory set and 6 user defined) for added flexibility. The SWIR LineCam12 is specially designed and optimized for complex and demanding imaging applications, for example in imaging lasers, and in environments where objects are moving (factory lines), such as sorting, detecting moisture, characterizing different plastics, and more. The camera starting price is $9500 in single units. For multiple units or OEM quantities, please contact PIRT for pricing. To learn more about Princeton Infrared Technologies’ line of affordable shortwave infrared linear arrays and cameras, please visit: http://www.princetonirtech.com or call 1-609-917-3380.